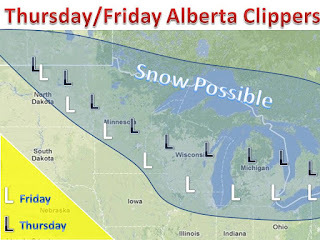 Clipper Update: It appears 2 clippers will affect the midwest at the end of the week. 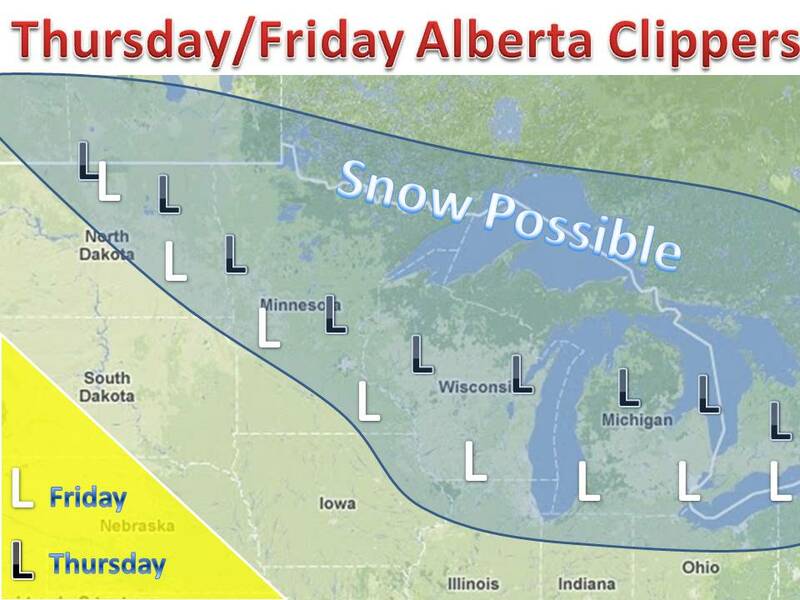 Models are still not in a total agreement, but the map below shows the most probable tracks. Each storm will generally bring 1-2" with small bands of up to 3" will be very likely. The snow will fall even and just north of the track of the low pressure, with these fast moving clipper systems. Don't look for much wind with these, but rather light winds that will blow a light and fluffy snow around. There is another shortwave system showing up in the models for next sunday, but we will deal with that one when the time comes. Stay tuned and check back for updates!